Many firms are more likely to be victimized by electronic thieves than real world ones. A poll of over 800 senior executives around the world showed that companies for the first time are losing more from the theft of their electronic assets than from physical assets. This was recently revealed by Kroll, a risk consulting firm. The incidents were especially alarming in emerging markets such as China, Colombia, and Brazil—where more than 9 out of 10 businesses report victimization. Most susceptible are firms that deal in information, such as businesses in professional services, media, technology, and finance. Often, according to the respondents, the perpetrators are the company’s own employees. Companies today should closely examine how information is managed within the organization. Appropriate levels of control should be provided, and policies, procedures, and tools need to be implemented to make sure access is carefully controlled and monitored and information is secured. 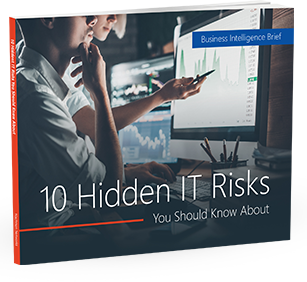 Are you confident that your firm is safe from attack not only from outside the organization but also from within? If not, contact us today to find out how we can help.